Today is Mother’s Day. And I want to wish a happy Mother’s Day to all of you Mom’s and Grandma’s out there. 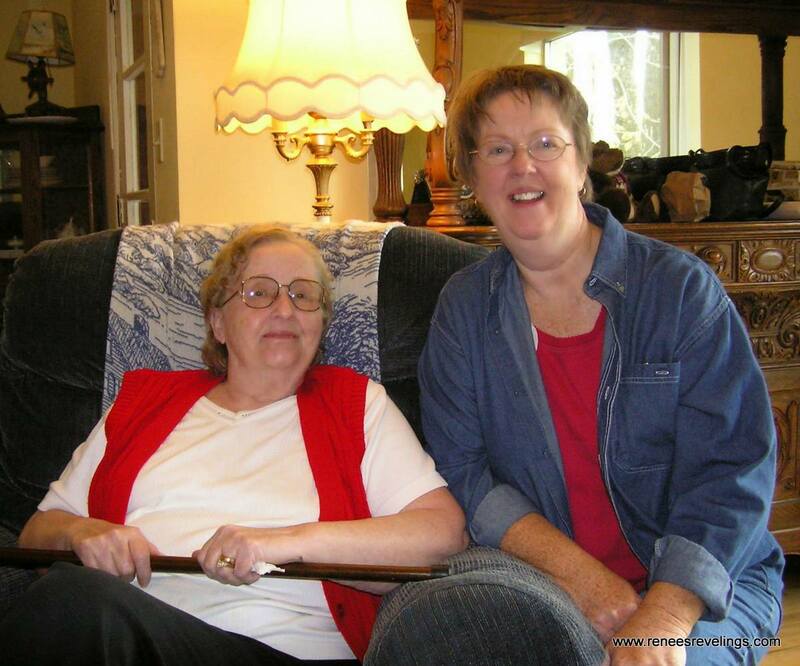 I want to send an extra special package of love to my Grandma, my Mom, and my daughter Naomi. All important Mom’s in our family circle. This post is all about when Naomi was born. 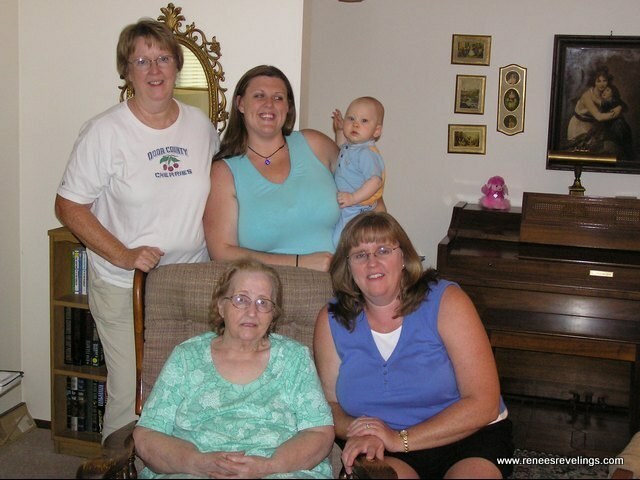 The pictures shown above were taken the first time Naomi met her Grandma Joan (Marma), and her Great-Grandma Nehls. Naomi was about two weeks old. 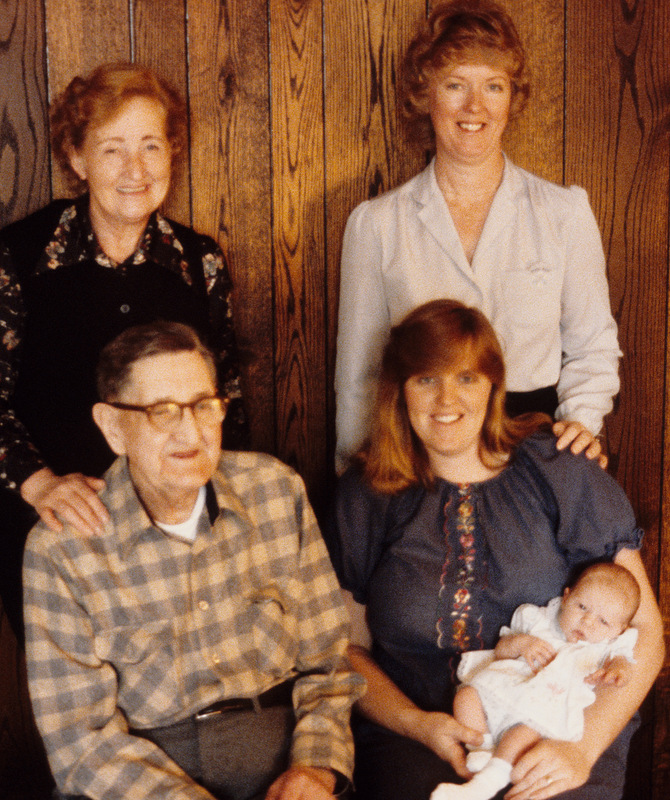 We were living in Wisconsin at the time, and my parents travelled from California to see their newly born granddaughter (the first grandchild), and my Grandma came up to visit us from Illinois too. Naomi was also the first great-grandchild in the family. What a special, special memory. 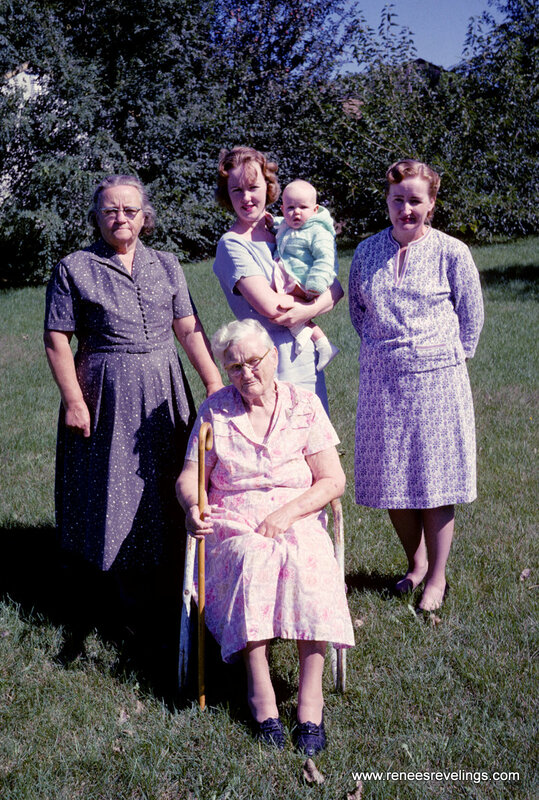 That same weekend this five generation picture was taken. We’re so lucky to have this memory. From left to right this is my Great-Grandpa Quist, and myself holding Naomi. Standing behind us is my Grandma, and my Mom. I love this picture. It is a treasure. I recently found this poem my Grandma penned to my Mom the day after Naomi was born. It is such a sweet sentiment on becoming a Grandma I wanted to share it with you all. Tho’ Lord knows the time was too short. And sharing a generous snort. As for me—at long last I am Great. For it’s really a wonderful fate. Is really a first for us all. That the trip would be too long and taxing. But to ride with you would be relaxing. Day off and bring Dad as per plan. To White Lake to get the old man. So at this point it’s iffy. When your plans are all made and you’re due. Or if I can ride up with you. Your reunion was joyous and hearty. And I hope that you found it amusing. I’m afraid you would find it abusing.